The RT-type is, to many people, the classic London bus, even though the Routemaster has since claimed, perhaps, greater fame due to its being the last of the line. The RT could be described as the ‘father’ of the Routemaster, being its direct predecessor and a remarkable bus in its own right. The type was in production from 1939 until 1954 and, even allowing for a 5-year gap due to the Second World War, this was a remarkably long run. 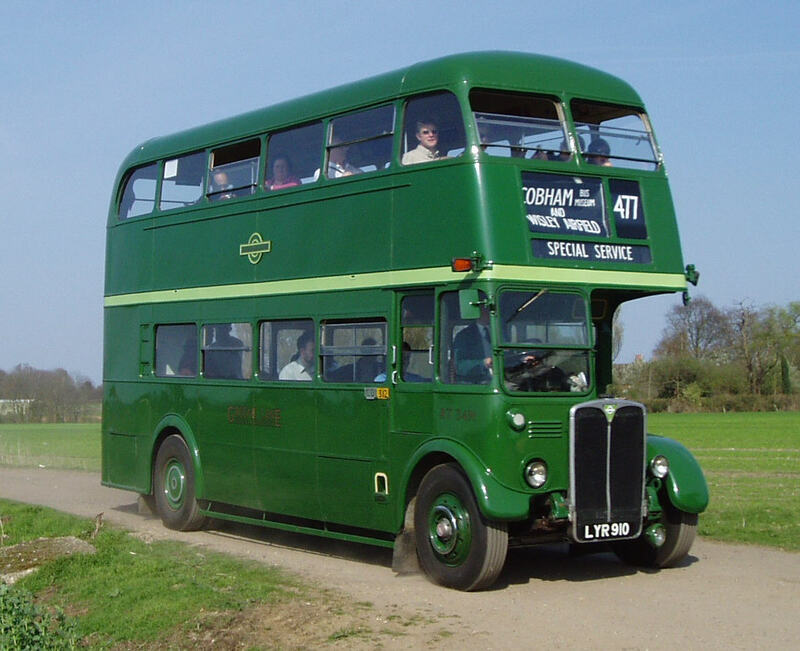 With a total production run of nearly 7,000 (more than double the number of Routemasters), the RT family was on London streets from 1939 to 1979 and the type was London’s standard bus of the 1950s and 1960s. 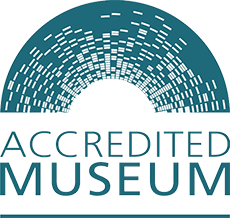 The RT was developed before WW2 with the prototype appearing in 1939 (RT1 has survived and is one of the stars of the Museum’s collection). Designed jointly by London Transport and AEC, the RT – with its advanced, streamlined styling, bright interior, comfortable seating, smooth new diesel engine, air-brakes and pre-selector gearbox – set new standards for the bus industry as a whole and confirmed London’s place at the forefront of bus design. A further 150 RT buses were delivered in 1940/41 before the War put a stop to production. After the War, production resumed on a grand scale – AEC built nearly 4,700 more with a further 2,100 from Leyland. This was the largest fleet of standardised buses the world had ever seen and this record has not been broken since. For anyone who went to work or school by bus in London, its suburbs and the surrounding countryside in the 1950s/60s and into the early 1970s, the chances are, you travelled on an RT. 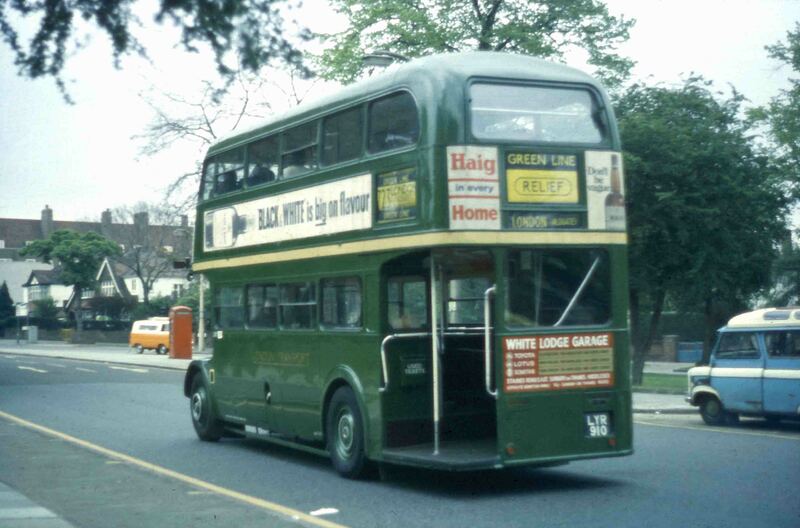 The first bus to carry the identity ‘RT3491’ was delivered to London Transport in March 1952 and started work at Nunhead garage in Peckham. As a result of London Transport’s overhaul system, under which vehicle identities were exchanged in order to streamline the process (a bus leaving overhaul would assume the identity of another entering the works on the same day), a further four buses carried this identity before the fifth finished work in 1973 at Walworth in south London. All the buses numbered RT3491 were standard, red vehicles. It had been intended that the bus would receive another overhaul and it did indeed enter works for that purpose. The work was almost completed, including the mechanical items, before a weak body mounting point at the rear was detected and it was therefore decided to withdraw the vehicle from further service life. It is possible that the resulting bus was the sixth to carry the identity ‘RT3491’ but this has yet to be established. Disposal was directly into preservation in September 1973 when acquired by the current owner and the overhauled mechanical units served the vehicle well during an active preservation life before that rear body-mounting finally failed in 1988. Back in 1973, London Transport was not keen on privately-owned buses carrying its red colour, so the owner re-painted it into LT Country Bus Lincoln Green which it retains to this day, albeit now with Green Line fleetnames in which it replicates those RT-types which once operated on those express coach services. Subsequent to the body problem, the bus received a comprehensive overhaul at Cobham Bus Museum including a full body-lift, the first to be carried out there. It was also fitted with a larger, 11.3 litre engine in place of the original 9.6 litre unit, giving it a very spirited performance. The bus is currently on long-term loan to the Museum where it forms part of our active, working fleet. Engine: AEC A222 11.3 litre diesel engine with air operated pre-select gearbox. The engine is not the original type.